As 2016 comes to a close, it’s time to start thinking about the future. That’s right, it’s time for physicians, physician assistants and nurse practitioners to make their New Year’s resolutions. mHealth stands for “mobile health,” and it just might represent the future of health care. Right now, nearly 70 percent of all adults in the United States have smartphones, according to the Pew Research Center — and many of these people are using mobile apps to access their medical information, research illnesses and ailments and connect with their physicians. mHealth represents an incredible opportunity for physicians to improve efficiency, communications and outcomes. It also offers opportunities for you to grow your practice and keep costs under control. For these reasons (and more), the health care app industry is growing incredibly quickly. If you are not currently riding along on the mHealth bandwagon, resolve to get on board in 2017. Your patients and your practice will thank you for it. There was a time in the not-too-distant past when physicians and their teams were clearly in control of nearly every health care conversation. Patients were incredibly deferential (almost to a fault) to their doctors, physician assistants and nurse practitioners. Today, patients have much more control over their health care. Because patients are paying more for their care, they’re asking more questions, raising expectations and making more decisions about what type of care they receive. That’s why you have to partner with your patients. Make it as easy as possible for them to access their medical information. Include them in your decision-making process. Create a comfortable and welcoming environment for patients–both literally and figuratively. When you partner with your patients, you increase the likelihood that they will choose you for their medical needs–and recommend you to their friends and family. If you’re being honest with yourself, it would be easy to admit that you have wondered what it would be like to work at a community hospital. You’ve heard the stories about physicians who have the freedom to work on all sorts of interesting cases without having to defer to teams of more senior doctors. You’ve talked to physician assistants who are trusted to use their expanded functions. You’ve read articles about nurse practitioners who are always treated as critically important parts of their medical teams. And all of these stories have come out community hospitals. If you have ever wondered what it would be like to work in an environment that offers health care professionals more opportunities and less bureaucracy, 2017 is the time to consider taking your career to a community hospital. The past year gave primary care physicians much to consider. From Zika virus fears to rising costs of prescription drugs to the election of Donald J. Trump as President of the United States, 2016 has certainly set the stage for a New Year many believe will be filled with ups, downs, starts, stops and ultimately, hope. Remember when the primary care physicians had to worry about getting patients comfortable with the idea (much less the implementation) of electronic medical records? How quickly things change! These days, patients are pushing primary care physicians to make better use of technology. According to DMR, a website that specializes in curating statistics, there are more than 20 million registered Fitbit users in the United States–and that number is growing. Fitbits, are the wearable devices that allow users to track everything from number of steps taken to calories consumed to hours of quality sleep achieved each night. Wearable devices are giving patients more information about their overall health–and now patients want to share that information with their primary care physicians through interactive websites, mobile apps and other emerging technologies. This year, look for more patients to expect to engage with you through wireless technology, which is known as mHealth and is growing by leaps and bounds. Other technology that will lead to large-scale transformations in the way primary care physicians treat patients are sure to emerge–and they could include concierge health, virtual health and video games as a means to promoting health an wellness. There may not be a lot of money to be made by individual physicians through mHealth or wearable devices, but telemedicine is proving to be a money-making machine–and that’s why your “webside manner” may matter an awful lot. Telemedicine continued to grow in 2016, thanks in large part to a paradigm shift that is moving more healthcare resources away from treating illness and towards proactively keeping people healthy. This trend is expected to continue in 2017, meaning you might be using teleconferencing tools to interact with patients in their homes, other clinics or other hospitals. Virtual visits require physicians to be empathetic and compassionate without physically examining patients or reading their body language. Your webside manner matters–both for your patients and for your finances. According to an article on Modern Health Care’s website that cited a study that showed doctor-patient interactions can have a statistically significant effect on a patient’s health. In addition, the story also quoted a survey that said 71 percent of employers will offer telemedicine consults through health plans in 2017. After the recent Presidential election, there’s only one thing that seems certain: The Affordable Care Act (ACA) will get a second opinion. Before becoming President-elect, Donald Trump made it clear that he was no fan of the ACA and it became the general understanding that it would be repealed during his term. Whether or not he will actually goes so far as to repeal the ACA remains to be seen. But one thing seems certain: Obamacare is going to get a second look, and it could lead to changes in the way primary care physicians treat patients. *The ideas related to the election noted within this blog are observations only and do not reflect a political position of any kind on behalf of Elliot Health System or any of its staff. Would you like to read more articles like this? Consider subscribing to our blog. If children are fortunate, they have an array of people in their lives who care deeply about their well being. If they are very fortunate, they also have a pediatrician. According to the Centers for Disease Control and Prevention, nearly 4 million babies are born in the United States each year. Each newborn represents an opportunity to achieve wonderful things as well as the country’s hope for a brighter future. Of course health and wellness are critically important to a child’s ability to achieve wonderful things and build a bright future–and that’s where pediatricians come in to play. Parents can’t do it alone. Sure, they can treat and take care of minor cuts, coughs and colds, but what about more complex illnesses, infections and injuries? And who is going to give physical exams to ensure children are developing properly? Primary care requires the partnership of a pediatrician. Even the smallest scrapes and bruises can send a parent into a panic. Knowing they have a well-trained, trusted pediatrician they can call on for everyday illnesses and injuries takes away some of the stress associated with raising children. In a world where inaccurate information is only a mouse click away, pediatricians have never been more important. According to a study conducted by the Pew Research Center, more than 70 percent of internet users said they looked online for medical or health information in 2012. Given the explosion of both internet users and websites claiming to be sources of reliable medical information, that percentage has surly grown over the past four years. That’s a problem for parents, who can have a difficult time determining what information is accurate and which isn’t. From information about vaccinations to food allergies to treatments for the common cold, parents need a steady, reliable source for healthcare information. Thankfully, there are pediatricians to fill that role. They provide information about health, safety, nutrition, fitness needs and development. But they also educate parents about how to prevent illnesses and explain clear, accurate and actionable information about treatment options when necessary. Pediatricians are on the front lines in the battle against autism, obesity, behavioral disorders, emotional issues and all of the other emerging public health concerns affecting adolescents in America today. Well-child visits offer excellent opportunities for pediatricians to screen for and diagnose diseases and developmental early, which is critically important to preventing or delaying associated problems. Early intervention enhances the quality of kids’ lives by making sure they are able to learn and grow–to the best of their abilities–into healthy, educated teens, young adults and adults. This not only benefits the children and their parents, but society as a whole because kids who are healthy and able to learn are more likely to become productive adults. Caring for children is a pediatrician’s role in society, but what most people don’t realize is that caring involves more than healthcare. The pediatrician’s role often extend’s into advocacy. Children are among society’s most vulnerable, and they need people in their lives who are willing to advocate on their behalf. Without pediatricians, many more parents might ignore scientific research and make healthcare decisions that put both their children and entire communities at risk. Elected officials would be more likely to pass legislation that does more harm than good. It would take longer for emerging public health concerns to be addressed. And the kids who need an advocate the most would have one less caring person in their corner. Thank you pediatricians. Your contribution to the world is truly incredible. Are you a talented pediatrician who is seeking a new career? 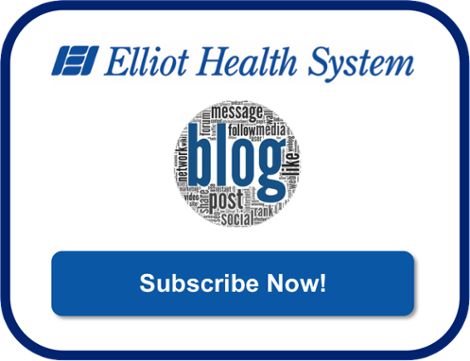 Consider what Elliot Health System has to offer. New Hampshire is most commonly known for being one of the 13 original colonies, fiercely independent and home to the fourteenth president of the United States, Franklin Pierce. But those who live in the “Granite State” know something else about New Hampshire: It truly offers something for everyone–four distinct seasons. Southern New Hampshire alone is a cornucopia of adventures for families, with vast forests begging to be explored, easy access to the ocean and a full calendar of events that makes the absolute most of each time of year. Manchester was built on innovation, entrepreneurship and the textile industry, but the city has always had an artists’ soul. Its willingness to embrace budding artists helped Manchester-raised comedians Adam Sandler, Seth Meyers and Sarah Silverman blossom into stars. But the city’s appreciation for the arts isn’t limited to the stage–it includes the fine arts as well. Learn to sculpt and paint with wet clay at these family workshop, which are held every Saturday in Manchester. You and your children create a unique piece of art from clay. The experts at the 550 Art Center fire it and have it ready for pickup in three to four weeks. Loudon is home to the famed New Hampshire Motor Speedway, but you will want to take your time while winding your way through more than two miles of beautiful holiday lights. The Loudon “Gift of Lights” display has become a holiday tradition for families across Southern New Hampshire. It boasts more than 60 scenes and 400 displays, including the breathtaking tunnel of lights. The display is open most evenings from 4:30 to 9 p.m. starting Friday, November 25. Durham is located on the seacoast and in the shadows of the mountains. This makes it the perfect place to spend the day. You can hike the famous White Mountains, sit and watch the waves crash in on the Atlantic or make your way to one of the country’s oldest farms for an afternoon of traditional activities. Emery Farms was founded in the 1600s, making it one of the oldest farms in America. Today, it’s recognized as one of the must-visit places in Southern New Hampshire because of its fresh blueberries, apples, hayrides, cider donuts, all-natural ice cream and expansive Christmas tree offerings. Hillsboro may not be located exactly in Southern New Hampshire, but it’s close enough and well worth the jaunt–especially if you and your family loves a good hike. Hillsboro is home to one of the premiere hiking forests in New England. It’s located on nearly 1,500 acres of pristine forest. It boasts more than 20 miles of well-marked trails that wind their way through impressive pines, maples, hemlocks and birth trees. And then there is Mud Pond and the boardwalk that allows you and your family to take in all of the natural beauty from another perspective. Southern New Hampshire is a perfect place for you and your family to have fun. You can learn about other activities by visiting VisitNH.gov. or by downloading our free adventure guide. Your family will be glad you did!